How to Permanently Delete Your Gmail Account. 1. Log in to your Gmail account that you want to delete permanently by filling up your credentials on the sign in page of the Gmail. Once you are logged in to your Gmail account go to the Account preferences option from the pull-down menu that you get access by clicking on the downward pointing arrow from the homepage of your account. 2. Now from the Account preferences page, you will have to click on the Data Tools at the top of the screen. Now you will see the data tools box on the screen, scroll down to te account management tab and then find and click on the “Delete account and data” option. 3. Now you will have to check all the given choices in the form of checkbox so that you can confirm the deletion of your account and get known about the effects of this on your services and data etc. So try to read all these options and then check them all to proceed further. 4. At last, you will be asked to fill up the password of your account, and you will have to check few options again and after all that you will be finally granted access to delete your account. Just press the “Delete Google Account” button and your request shall be processed after that. All the data and related services will be closed automatically within few days or may be hours depending on the quantity of the data stored or used. 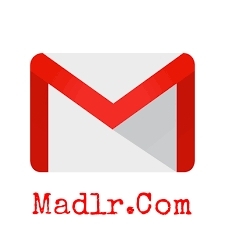 So, you have finally got the method by which you can quickly delete up your Gmail account permanently.